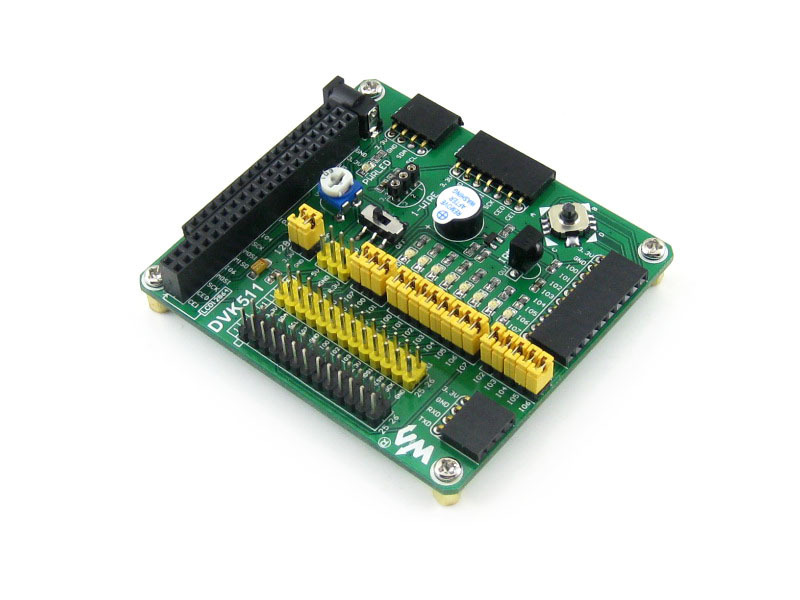 DVK511 is an expansion board designed for Raspberry Pi, integrates various components and interfaces for connecting external accessory boards. It’s ideal for Raspberry Pi evaluation and development. 2 UART interface: easily connects to UART modules such as RS232, RS485, USB TO UART, etc. 4 SPI interface: easily connects to SPI modules such as AT45DBXX Dataflash, etc. 5 I2C interface: easily connects to I2C modules such as PCF8574 Expansion Module, PCF8563 RTC Module, etc. 8 ONE-WIRE interface: easily connects to ONE-WIRE devices (TO-92 package), such as temperature sensor (DS18B20), electronic registration number (DS2401), etc.